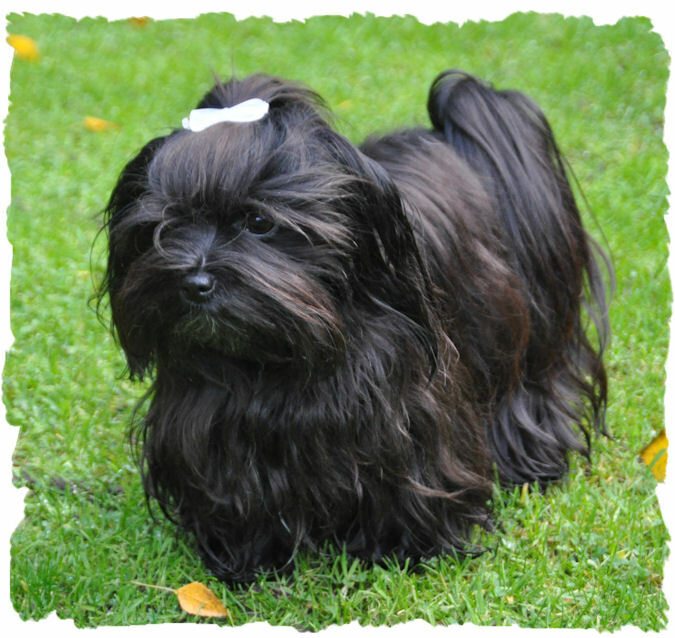 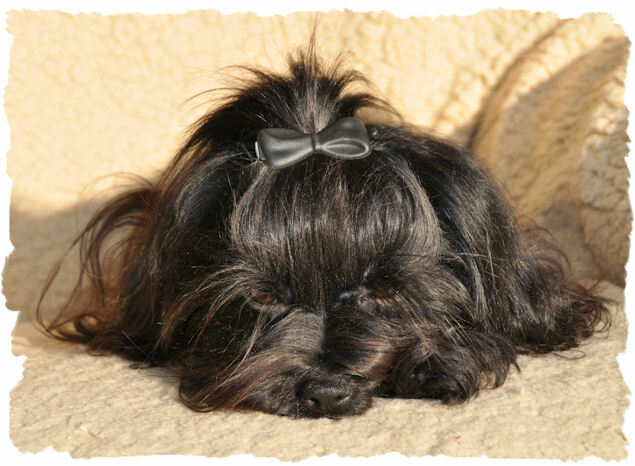 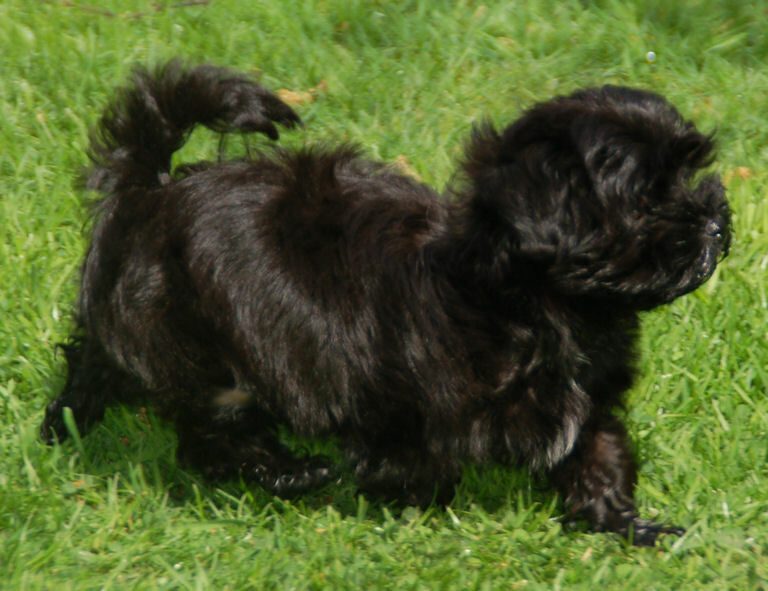 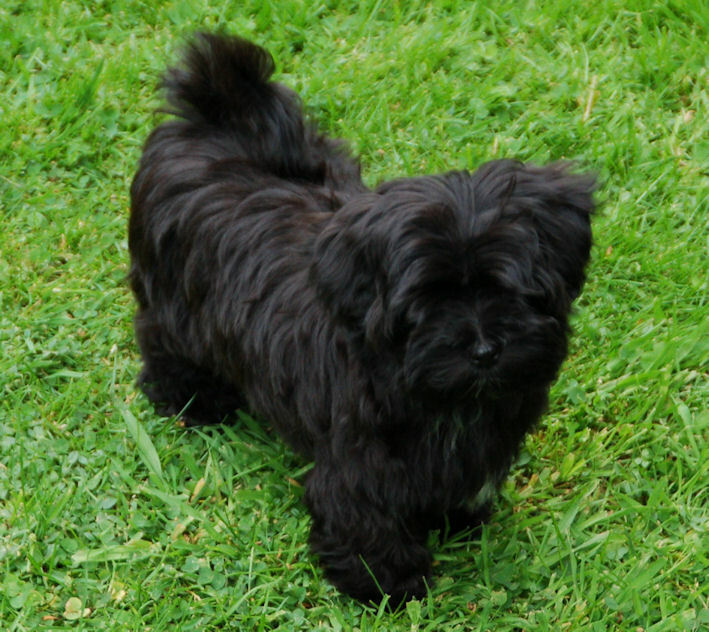 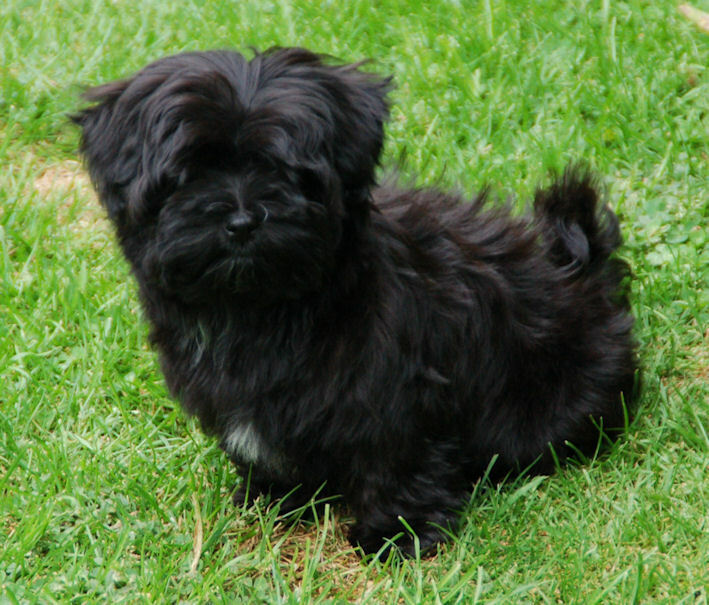 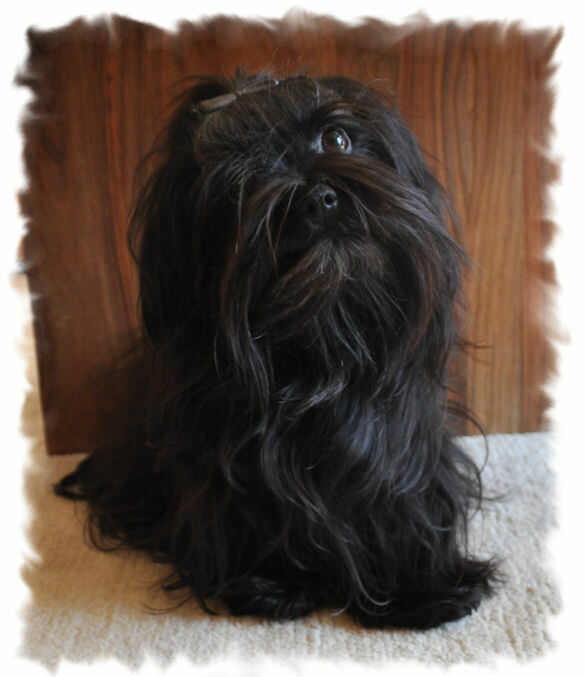 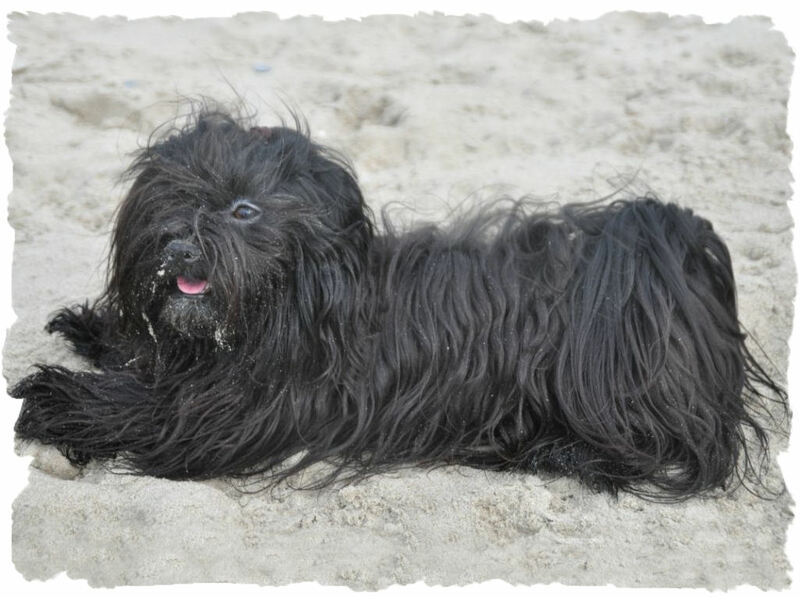 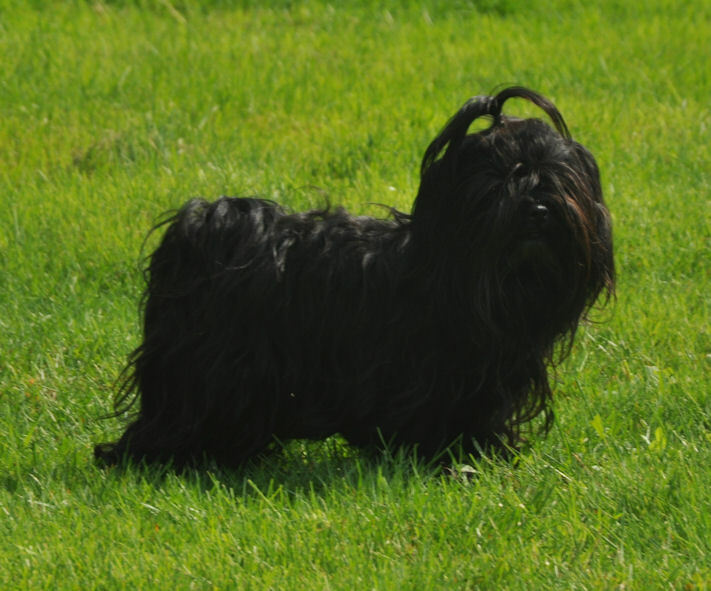 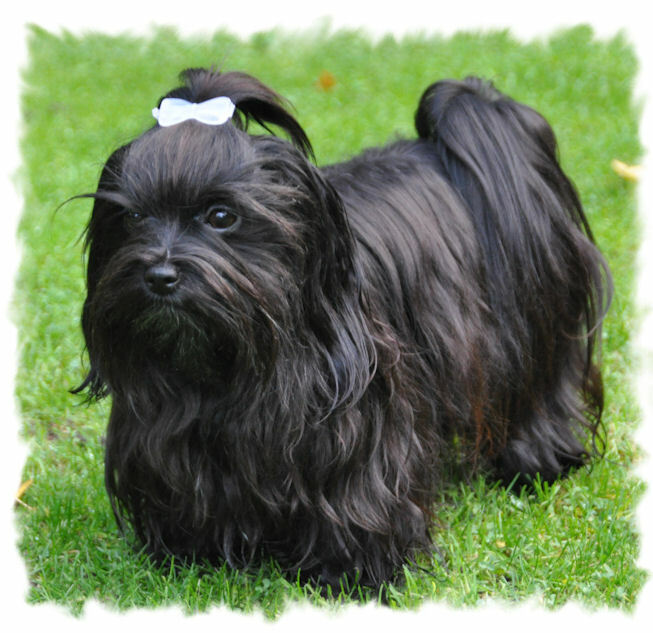 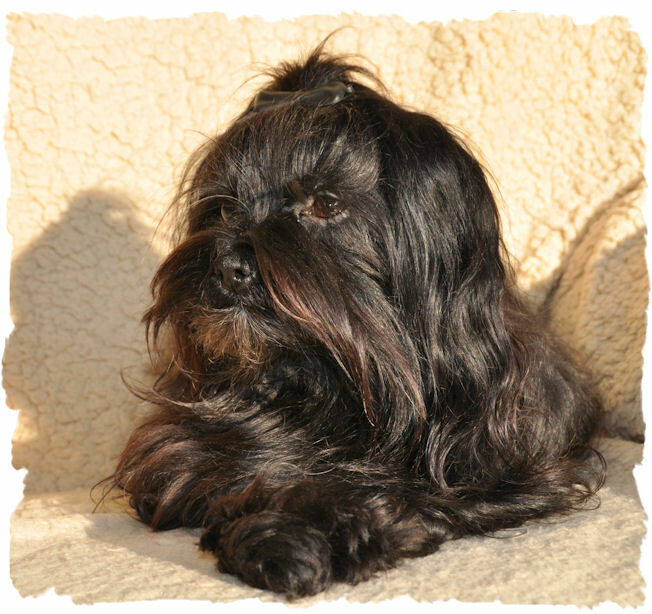 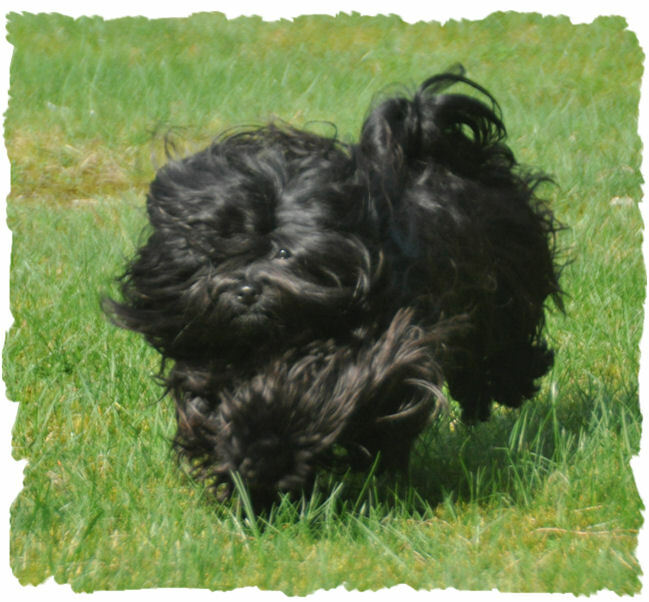 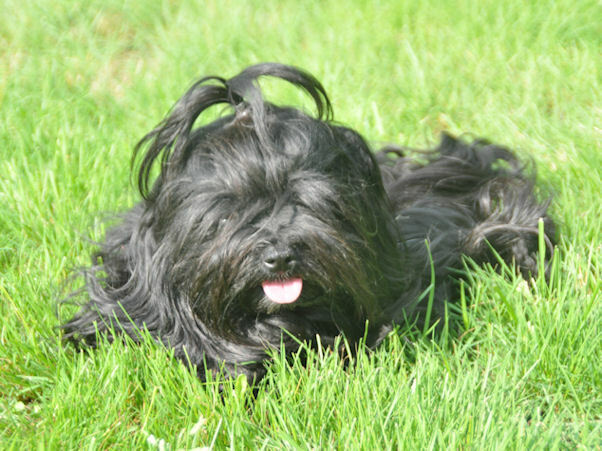 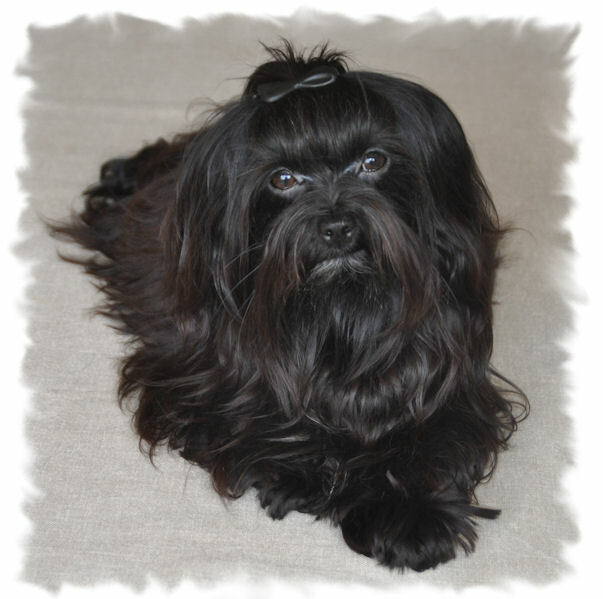 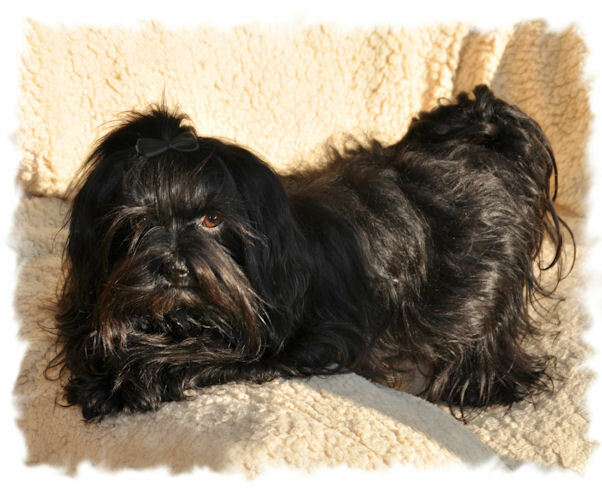 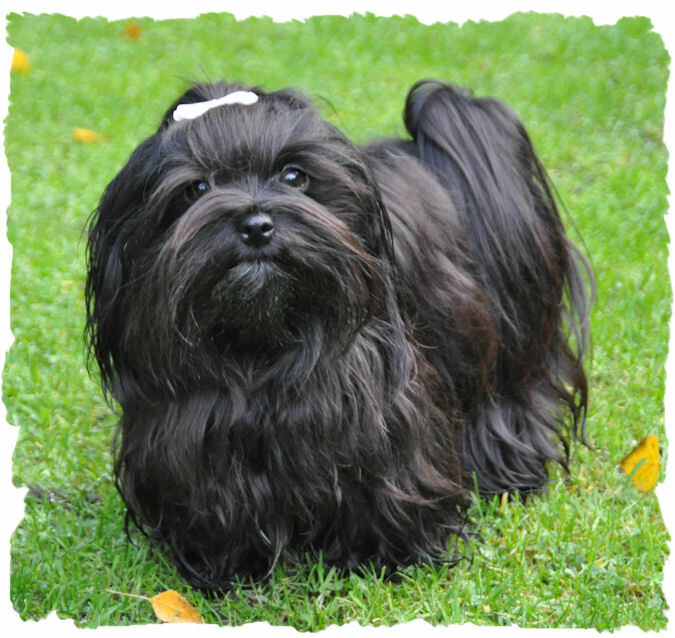 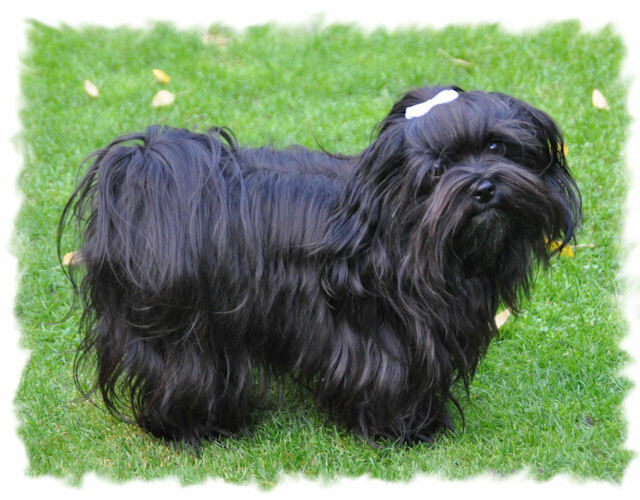 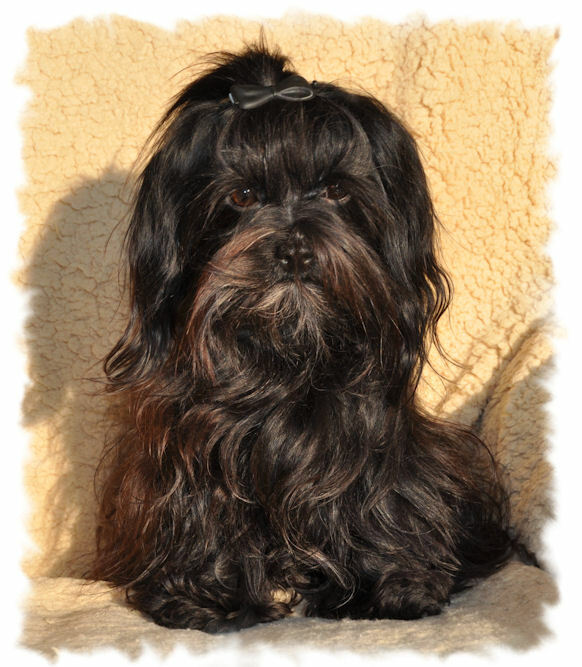 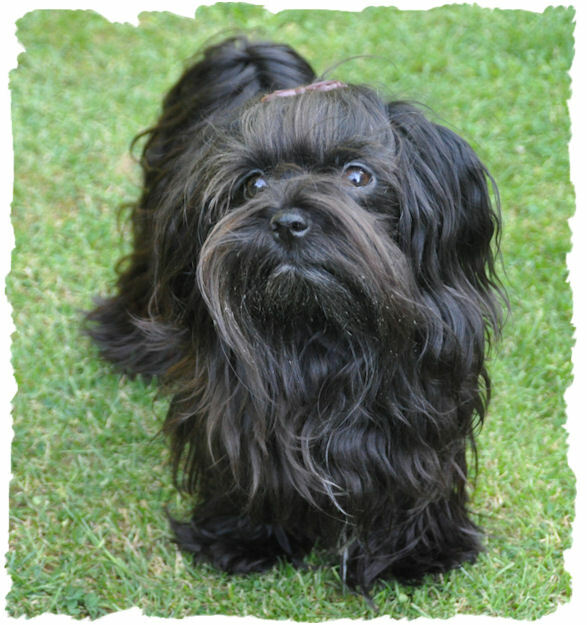 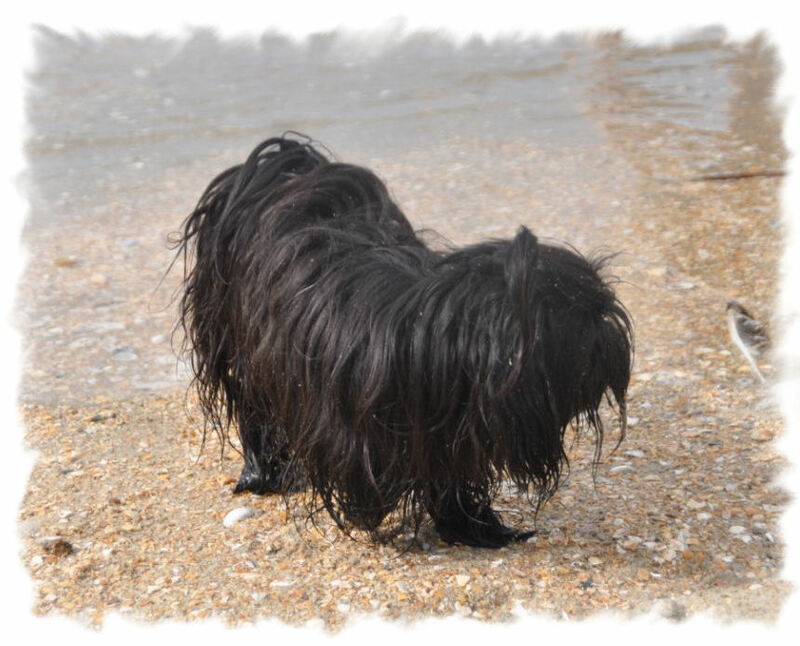 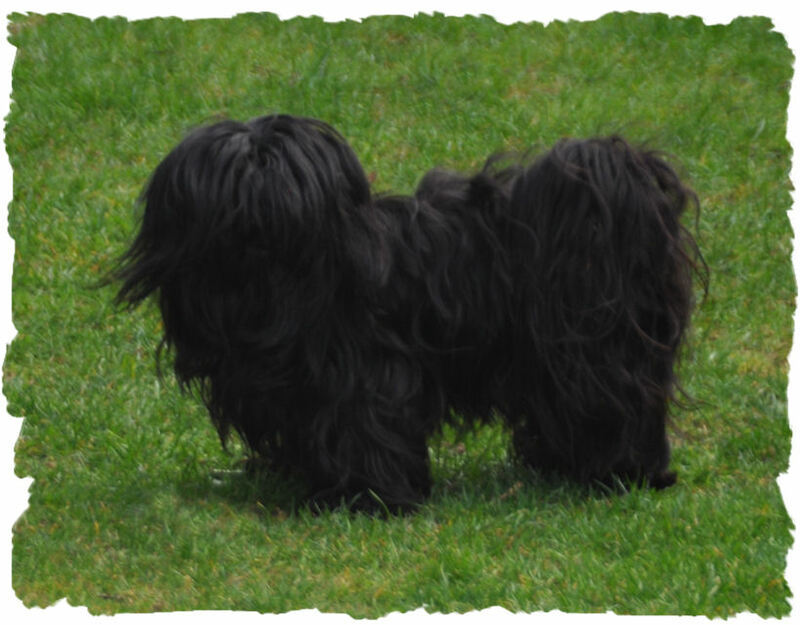 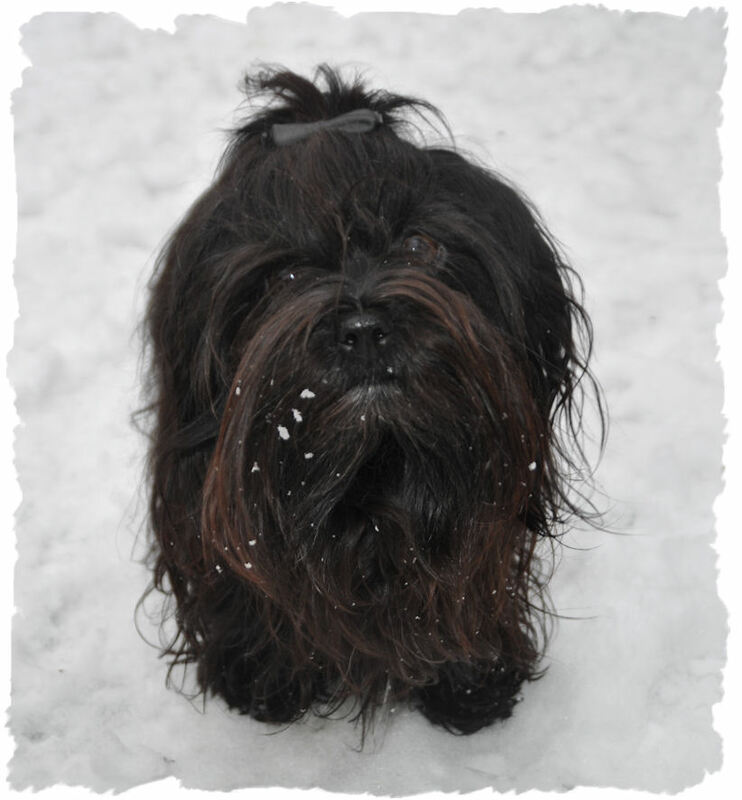 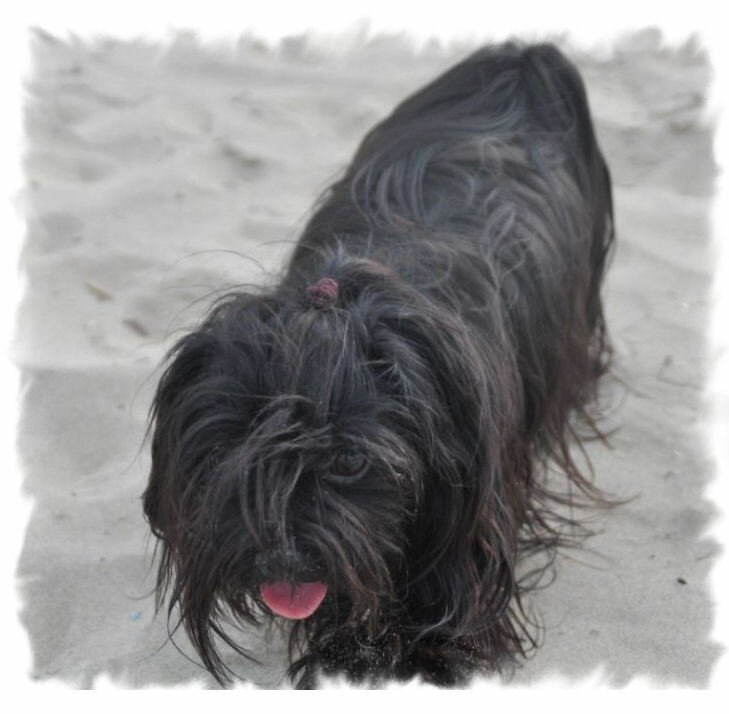 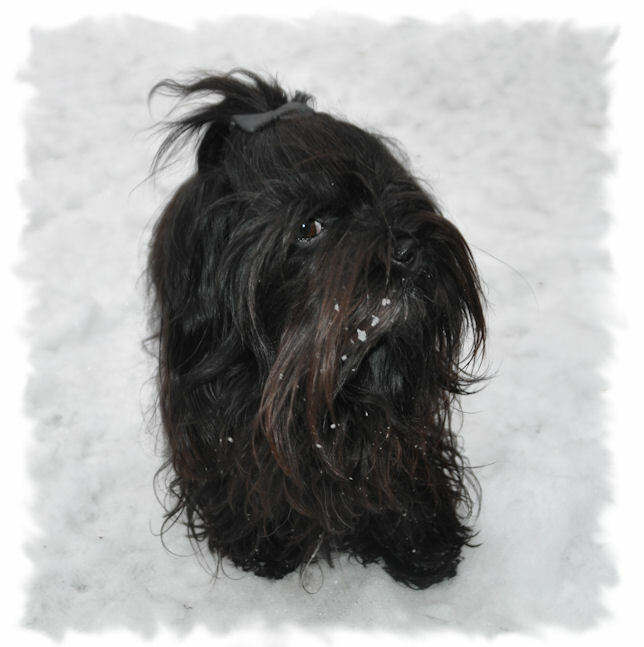 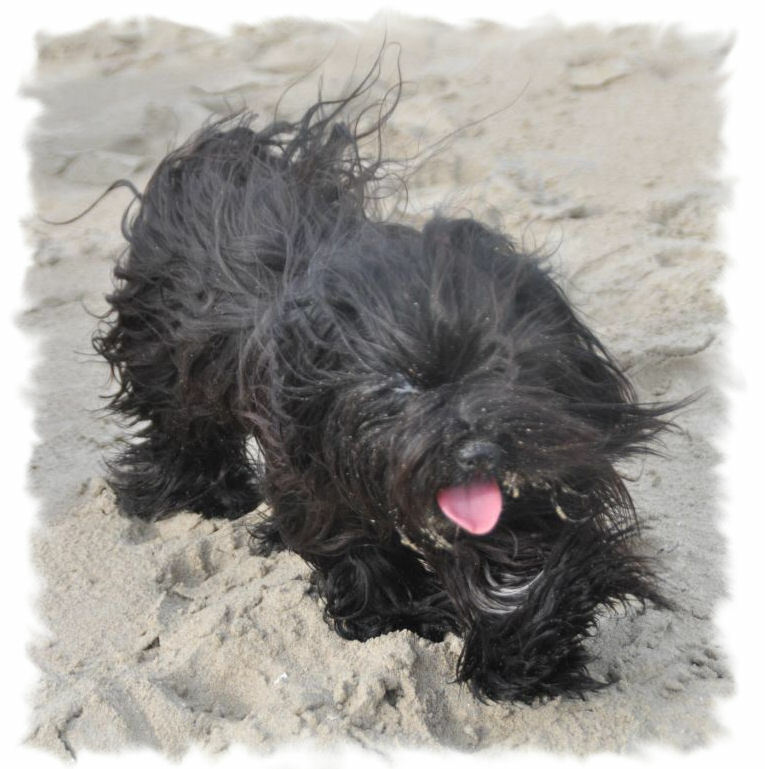 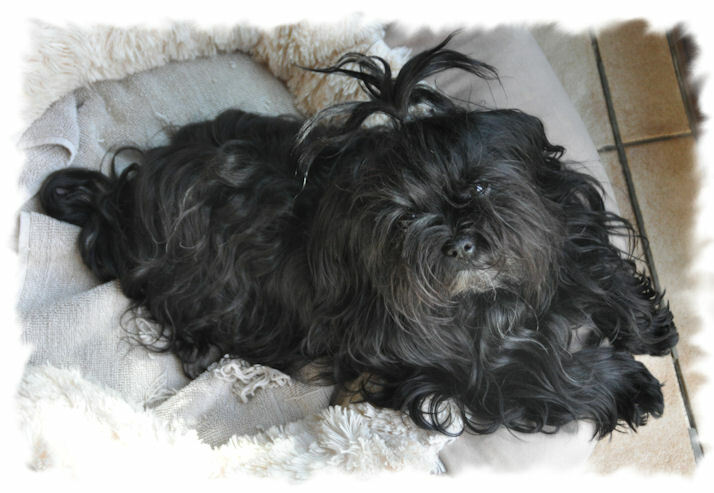 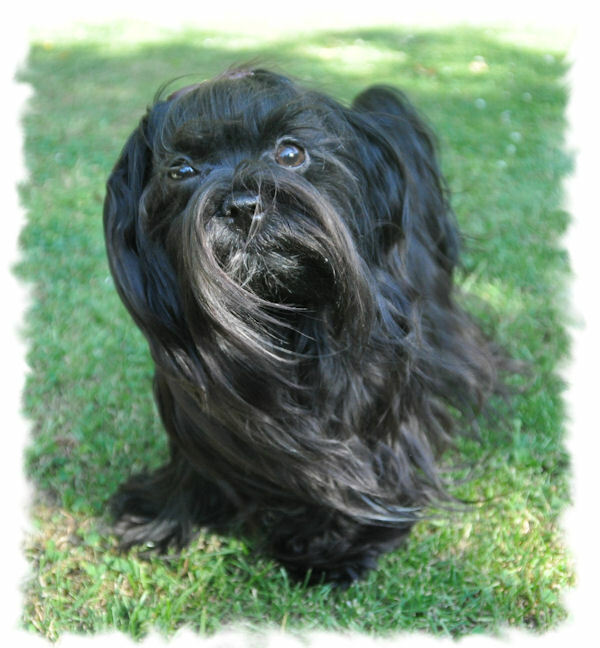 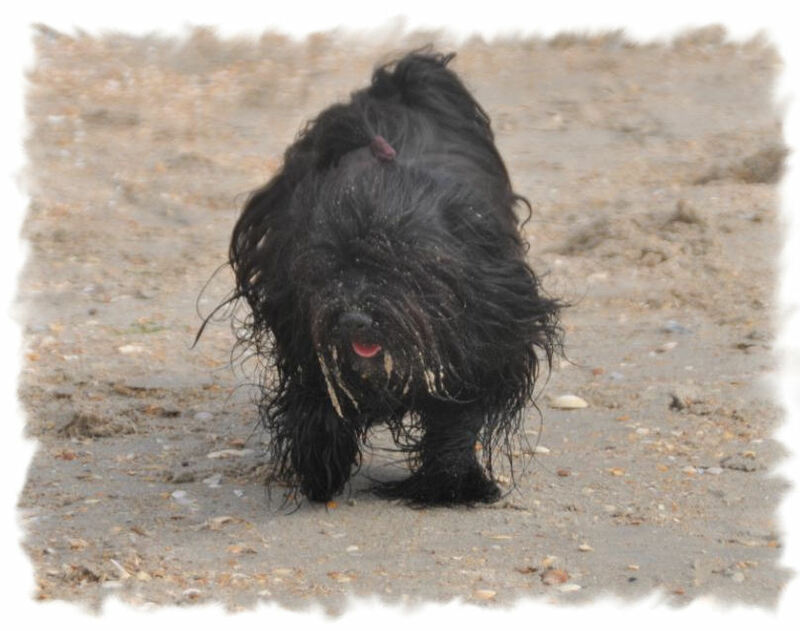 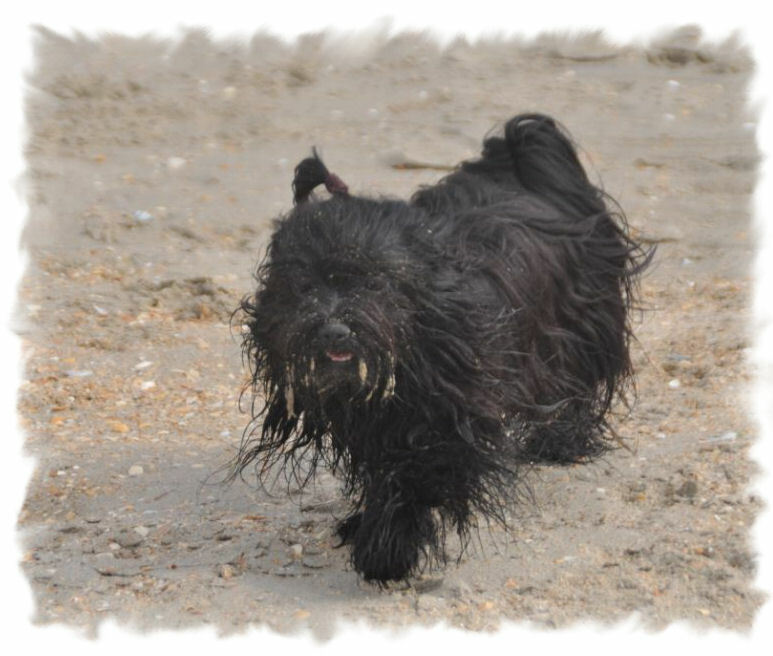 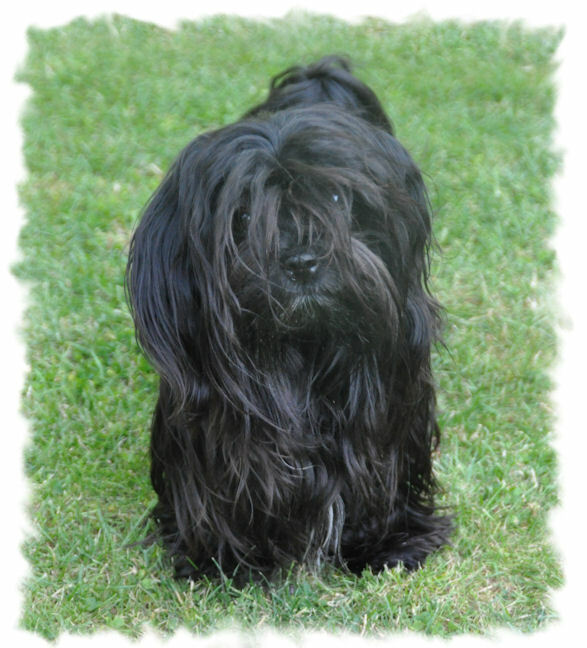 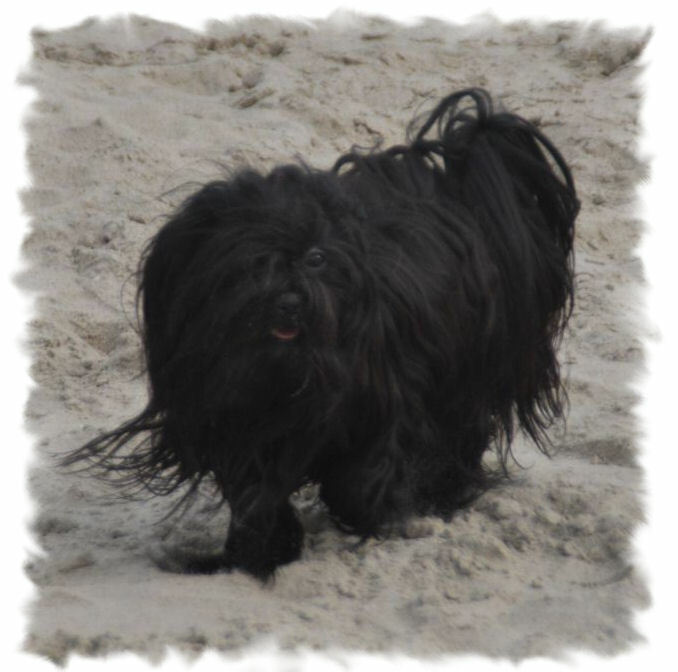 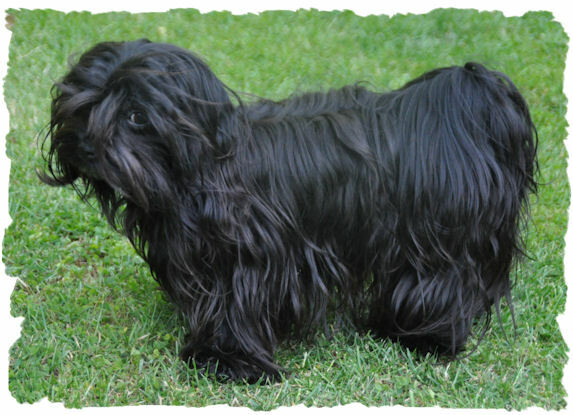 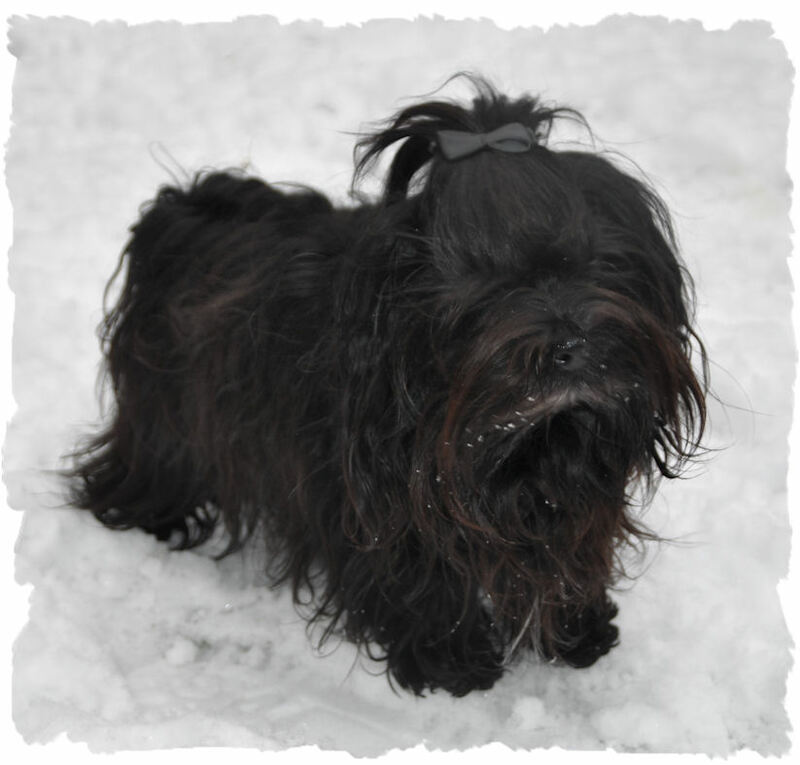 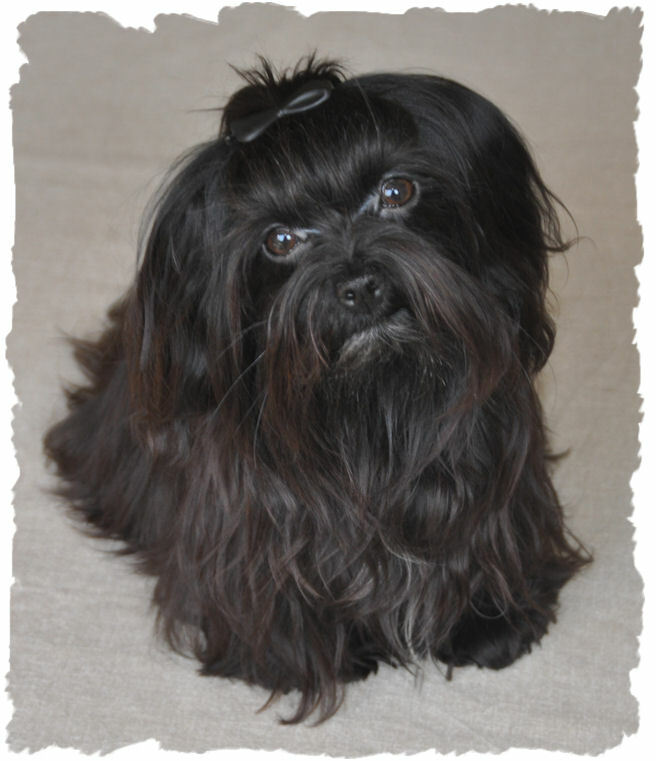 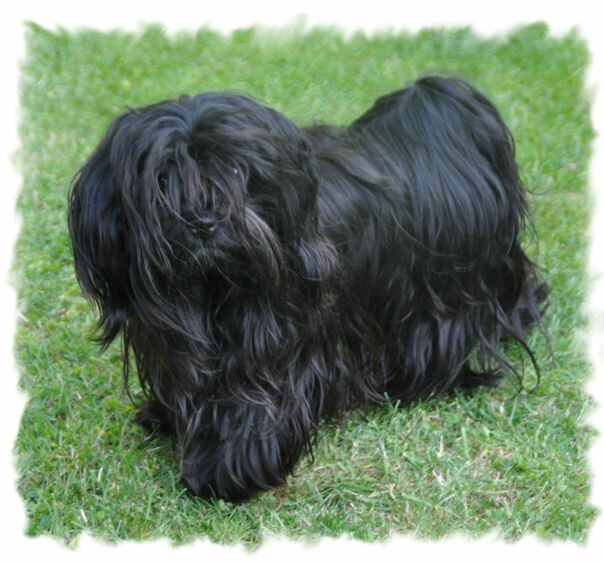 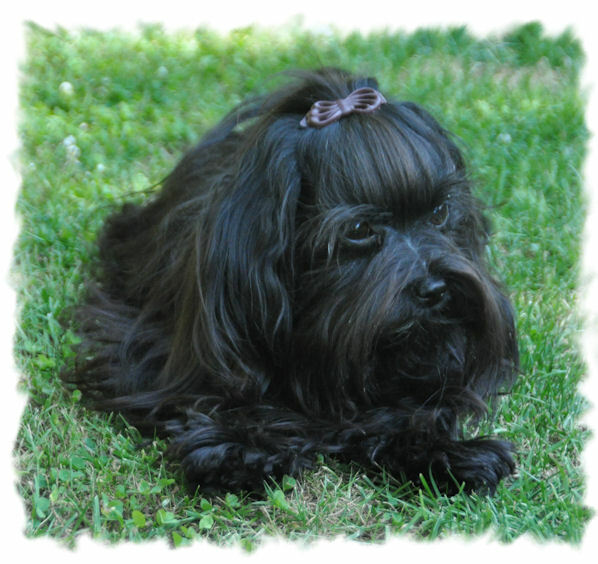 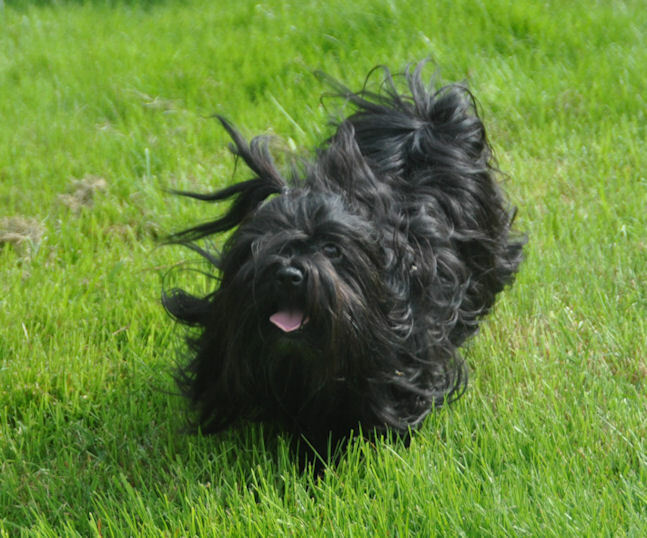 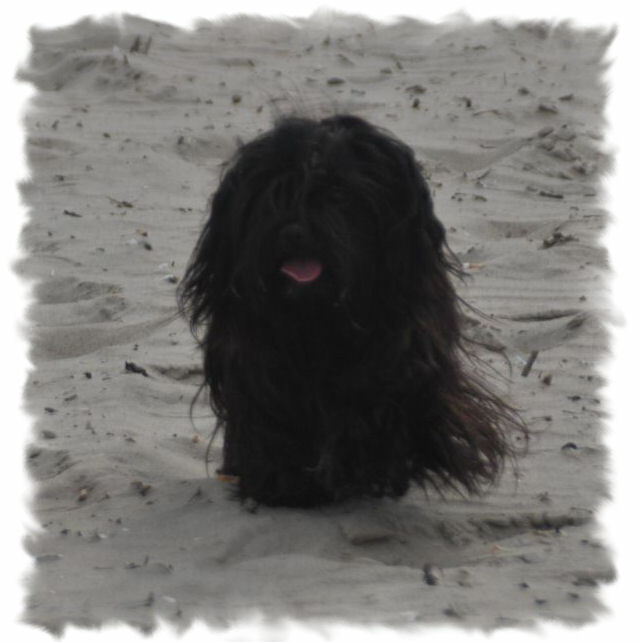 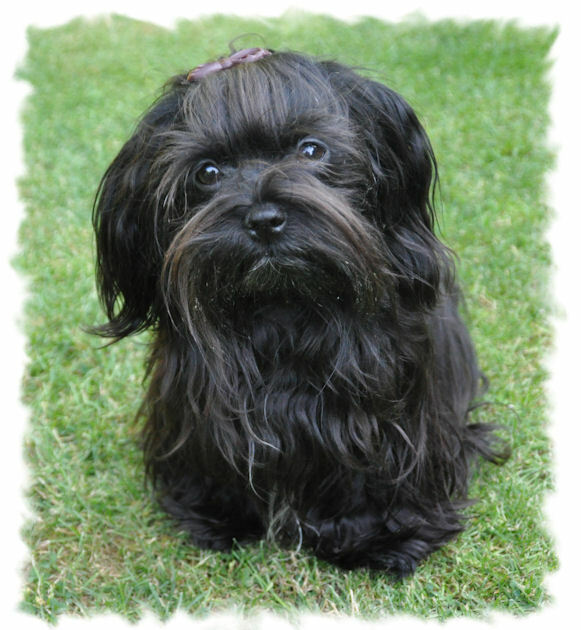 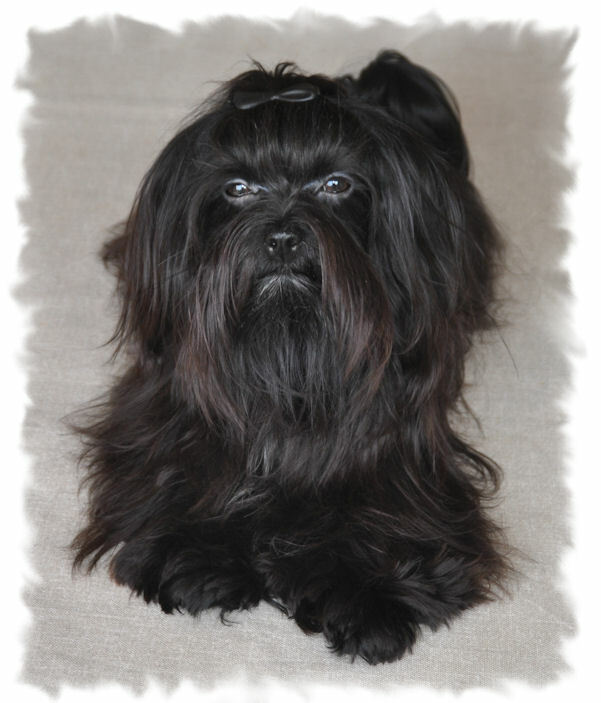 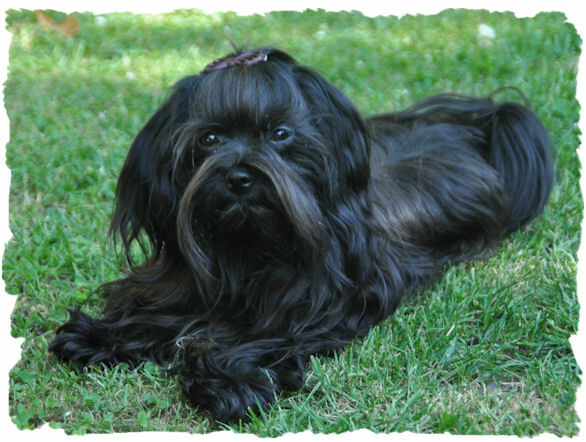 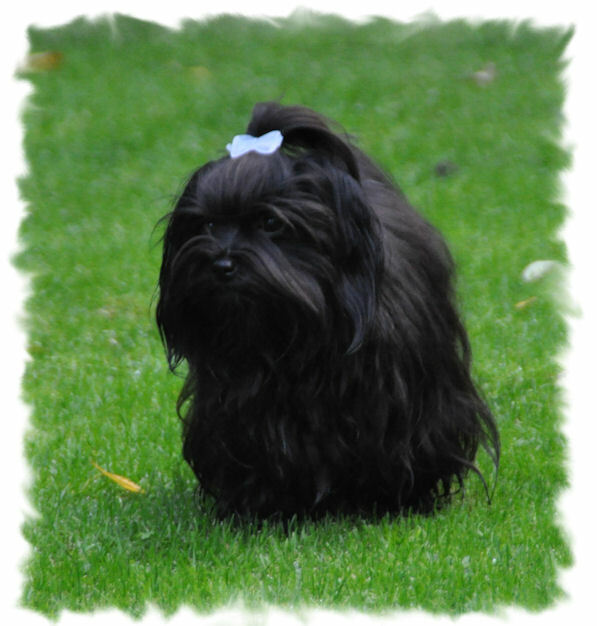 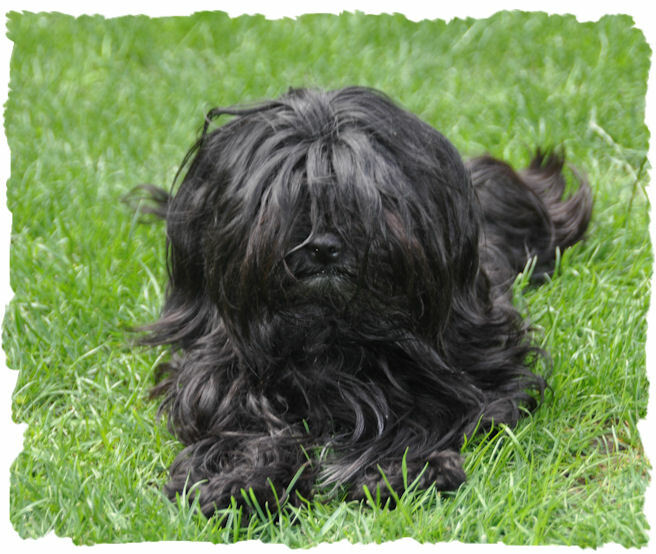 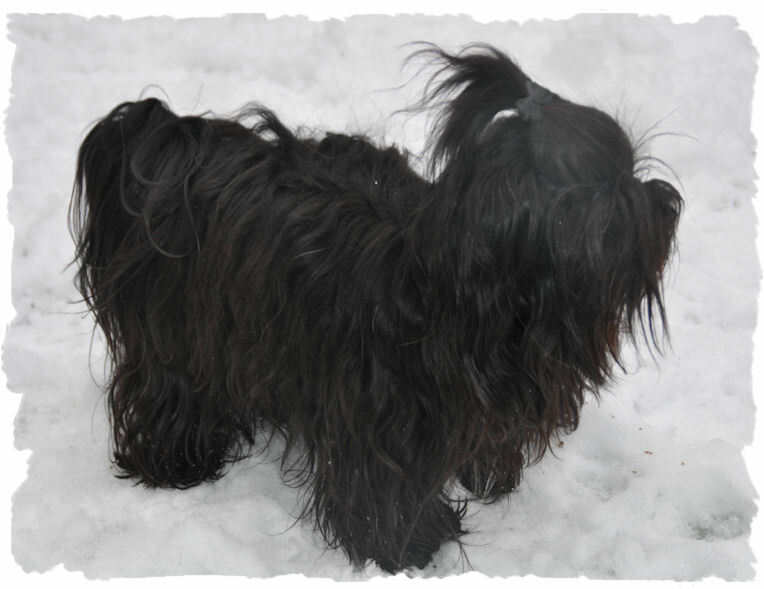 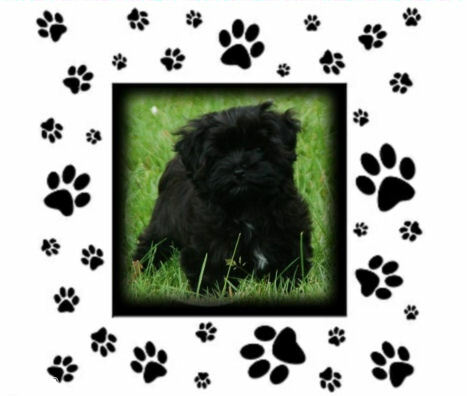 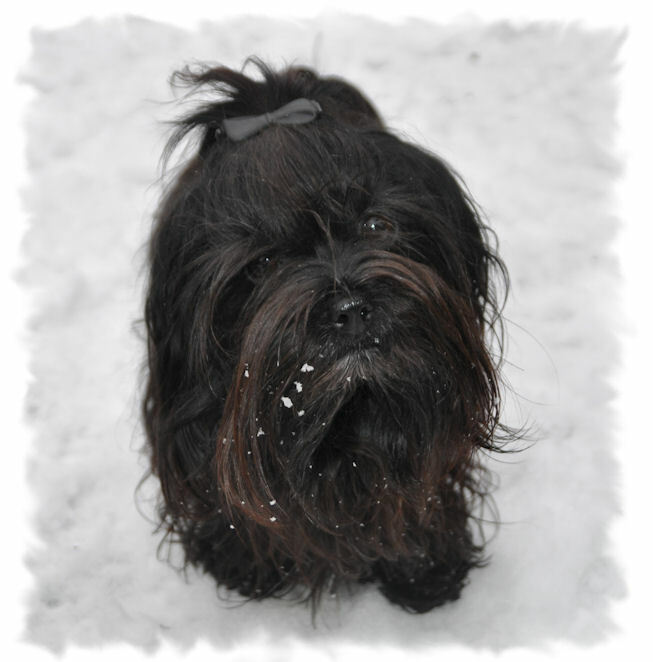 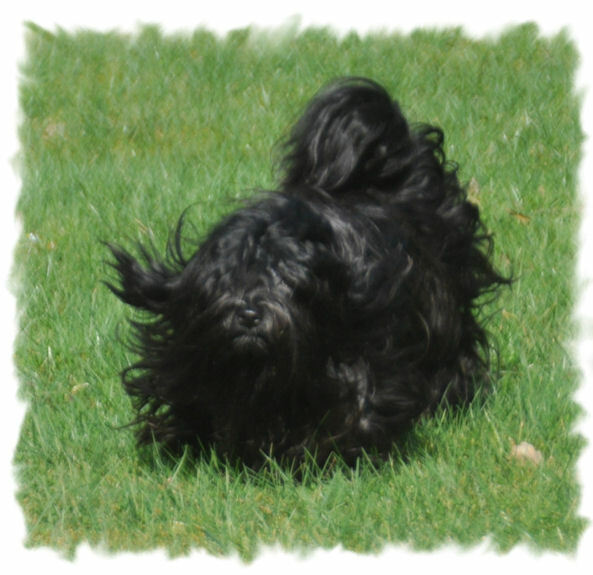 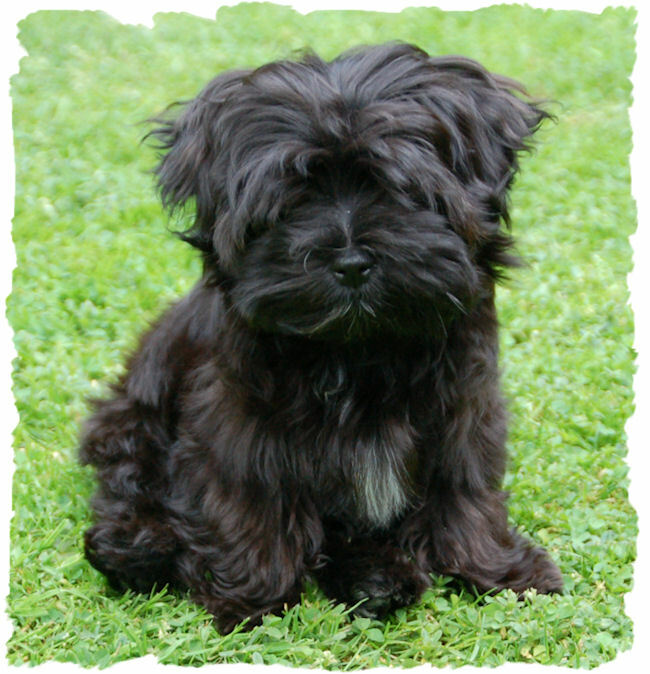 Itala (accent on the « i » : Itala) is a black Havanese with mahogany reflections and a white spot on the chest and left paw. 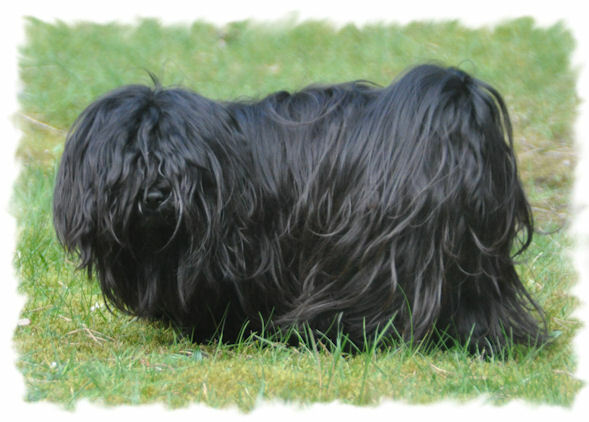 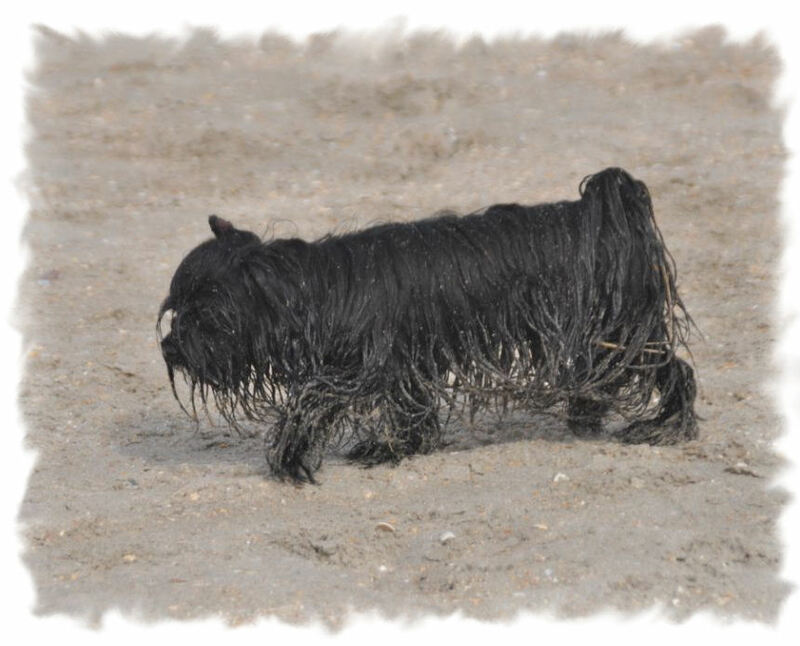 She has a pedigree and comes from Nobressart (Wallonie) from Mylène. 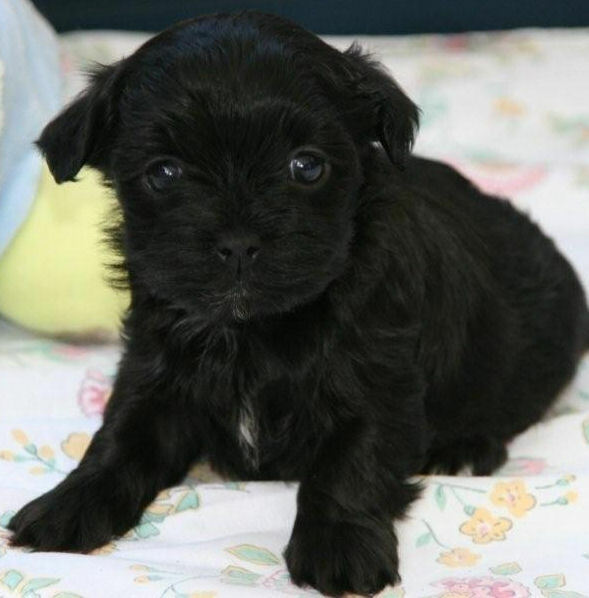 February 2, 2009 Itala was born. 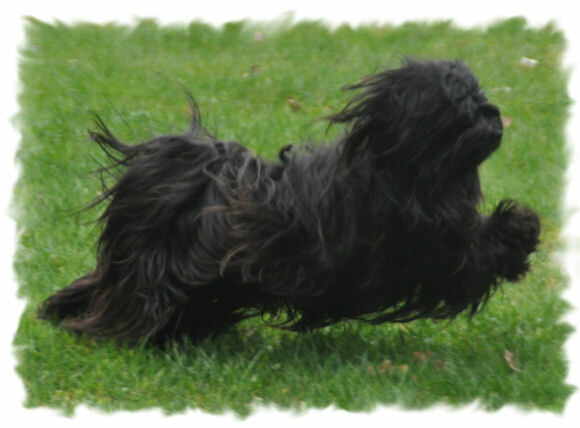 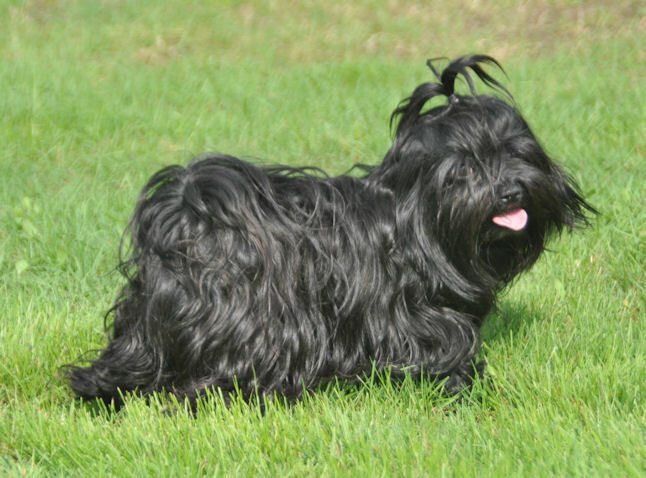 Her parents are MystykalSky's Gavroche and Geebee'Lee de la Vallée du Rêve. 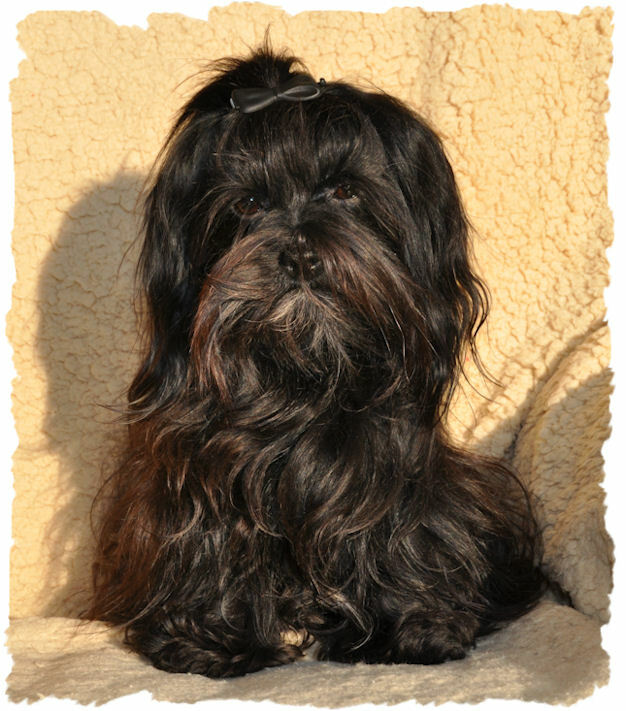 She has two sisters (Iceblue and Indiana) and a brother (Igor). 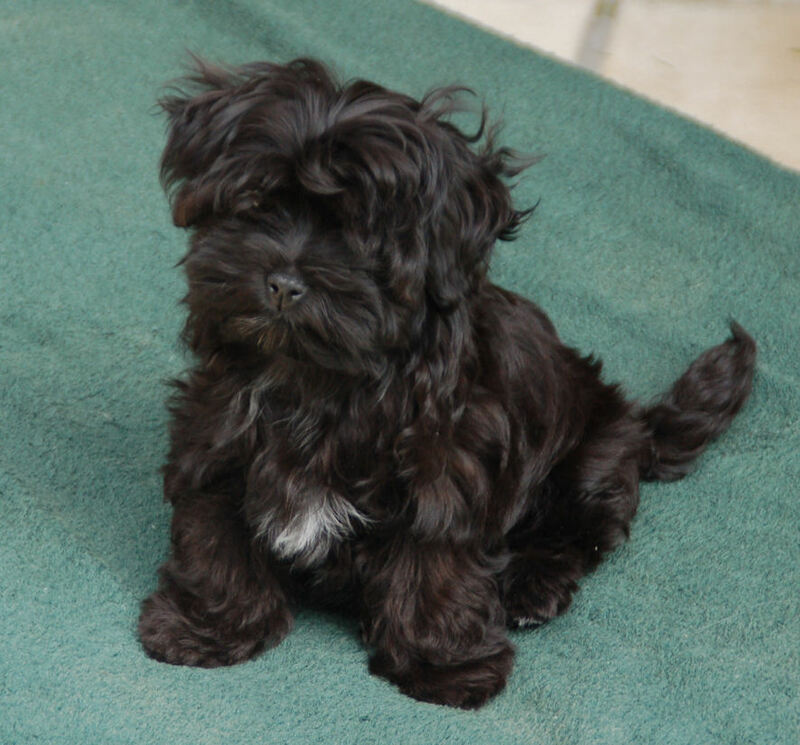 The first weeks she's spent with the other Havanese with Mylènen of La Vallée du Rêve. 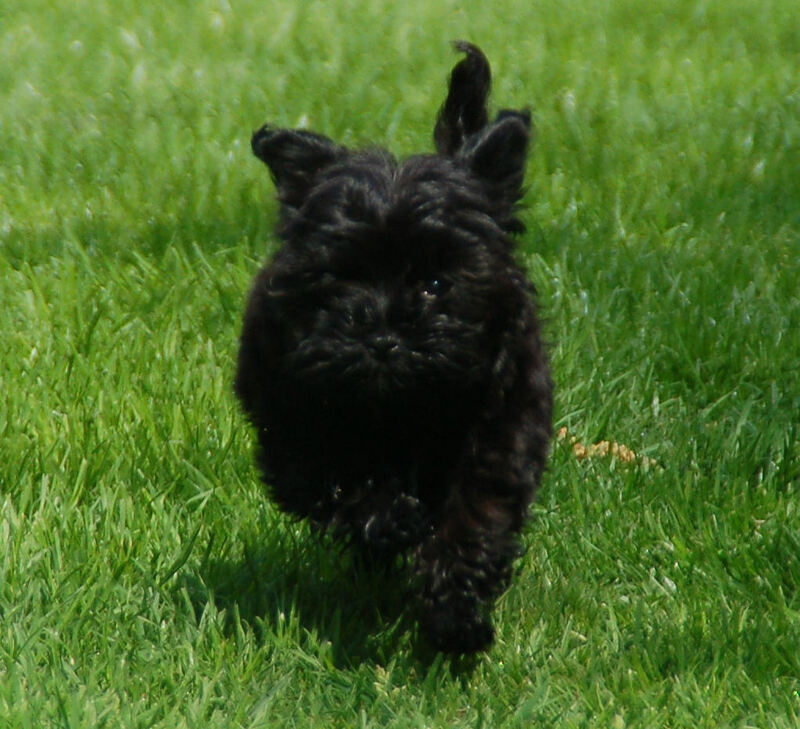 When she was eleven weeks old, we've welcomed her into our family. 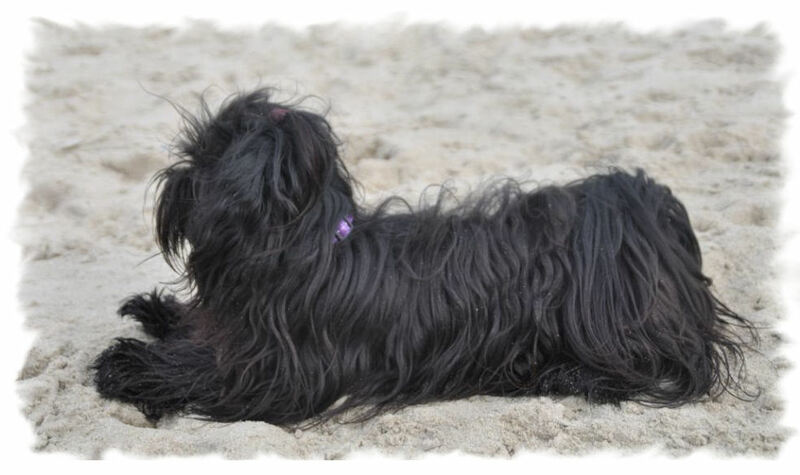 Hope has taken her immediately under her protection and together with Mistica they like to play. 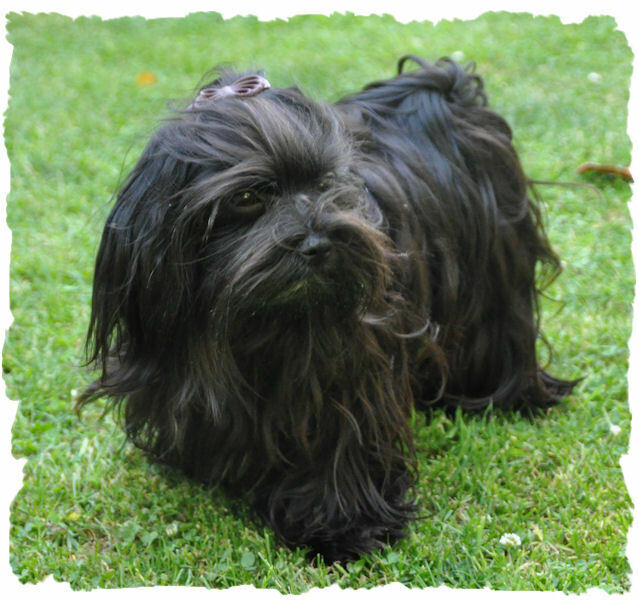 Itala is an adorable little dog. 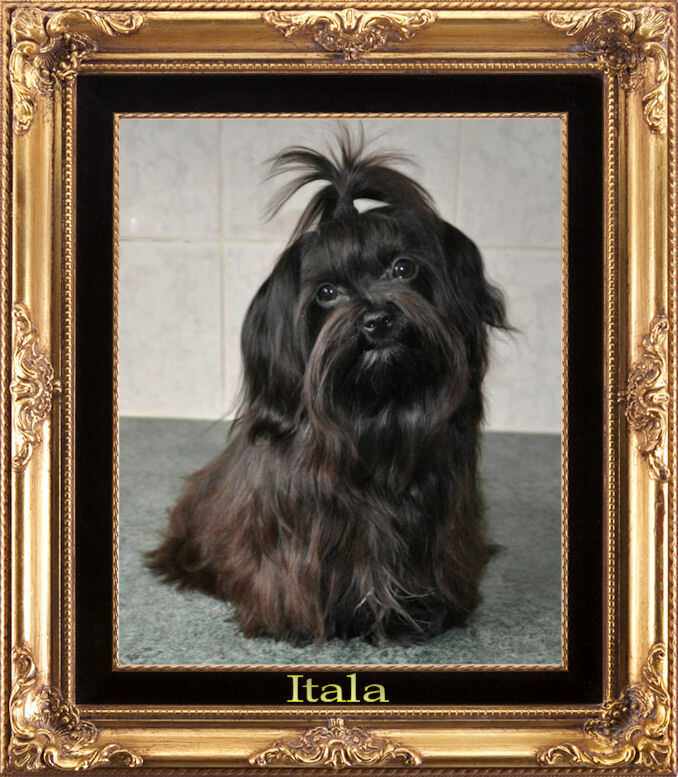 The name « Itala » is an Italian girl's name (« Italo » for a boy). 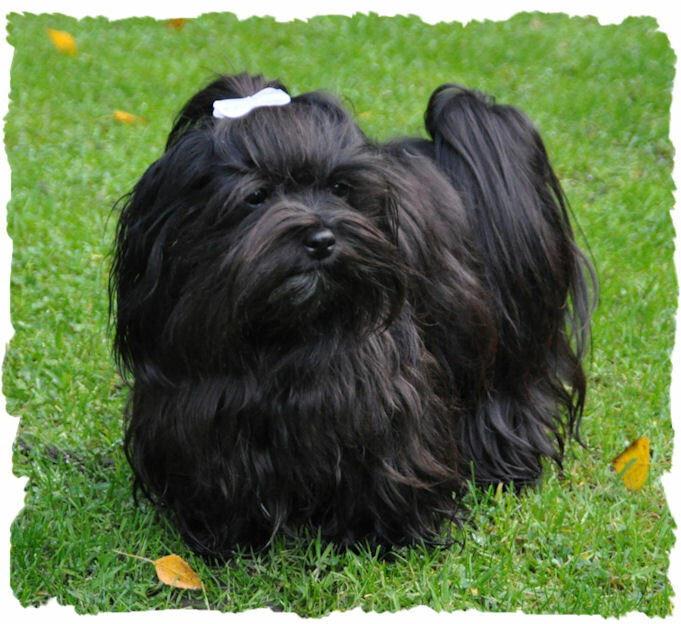 The name means also « from Italy ». 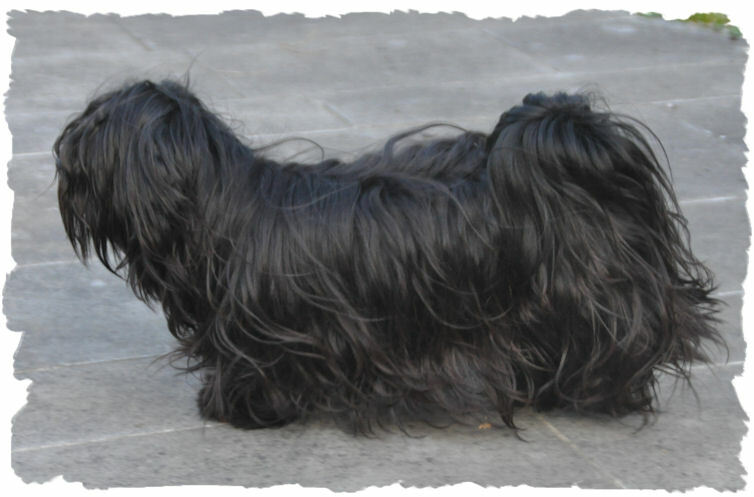 A town in the region of Sicily (province Messalina) is also named Itala. 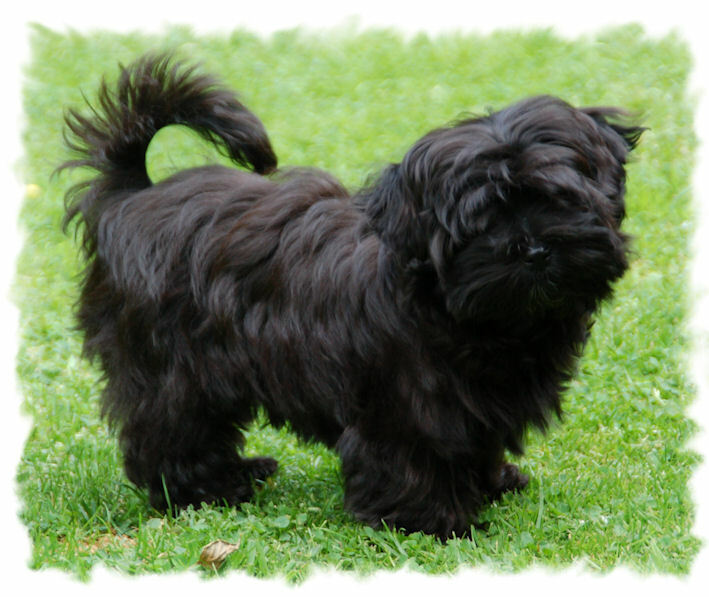 It's also the name of the oldest translation of the Bible, before the Vulgata. 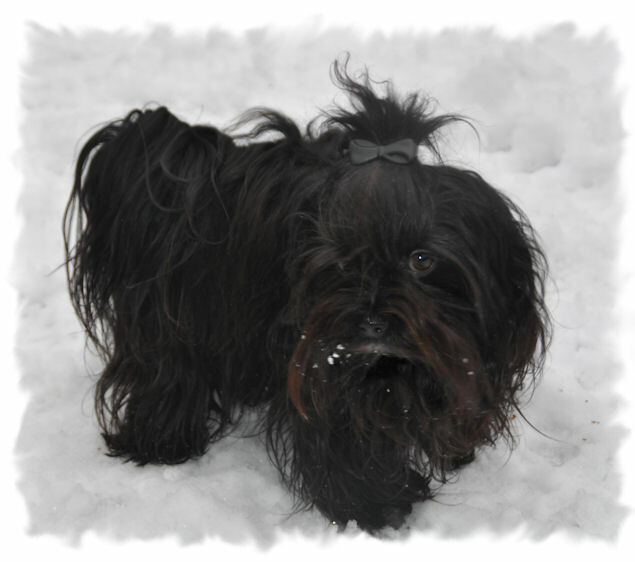 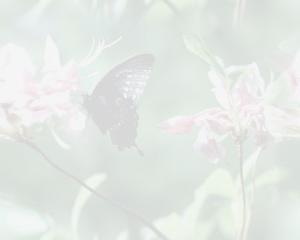 Itala has the nickname « Miss bisous » because she likes to give kisses. 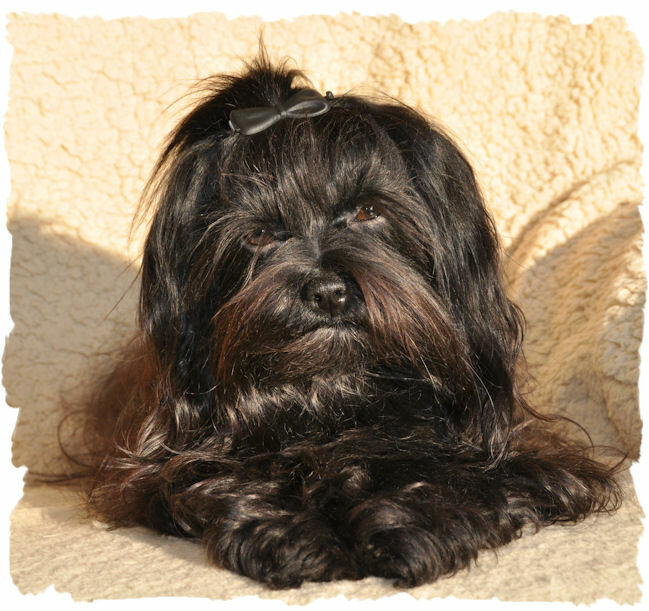 She has an open character and she is very gentle. 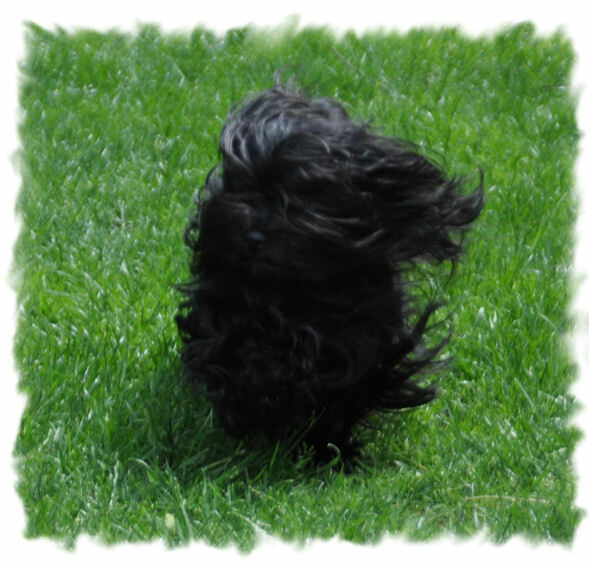 Since April 29, 2009 we do obedience with her and we learn her Dog Dance tricks. 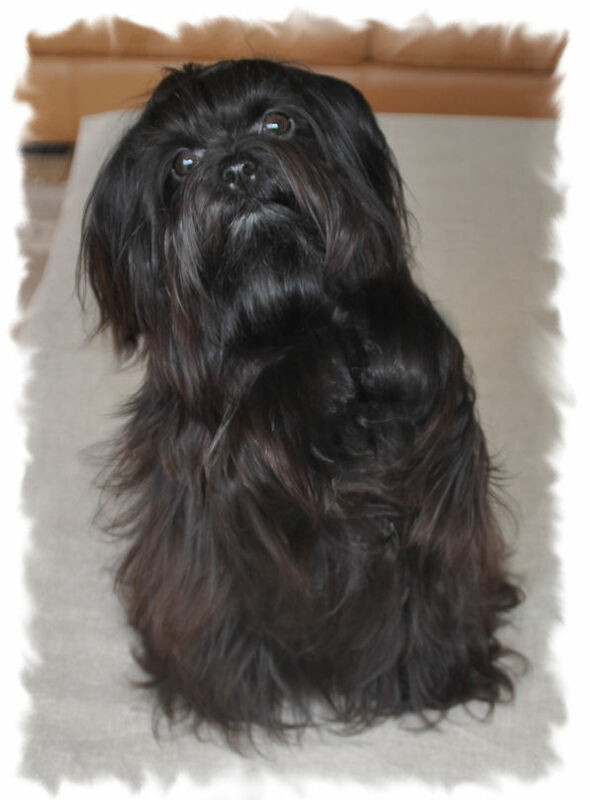 Just like Hope, Itala likes to stand on her back legs to get attention. 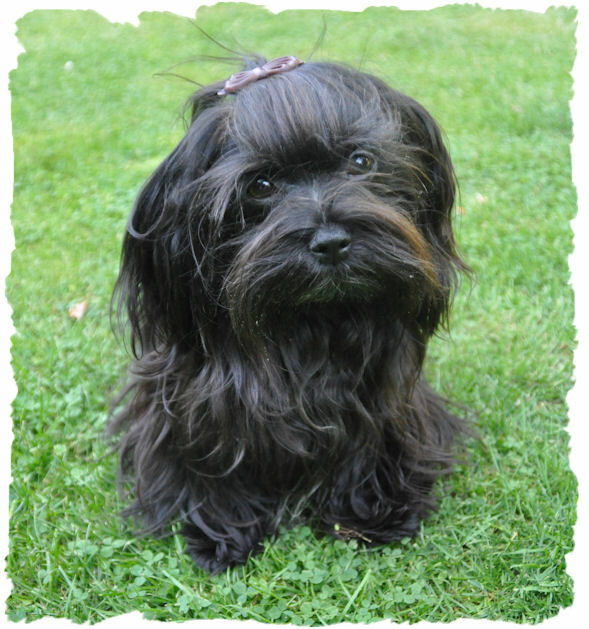 She is a nice little funny dog.